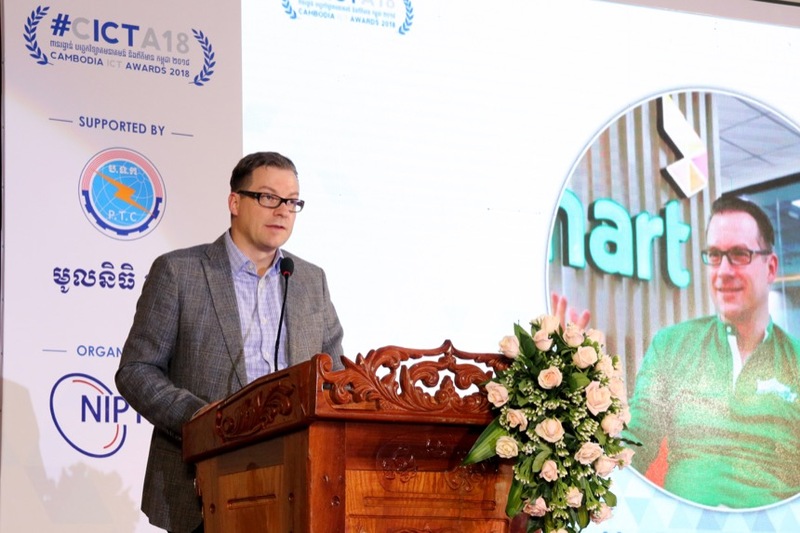 National Institute of Posts, Telecommunications, and ICT (NIPTICT) has opened the Cambodia ICT Awards 2019! The Cambodia ICT Awards is the largest National ICT Competition in the Kingdom of Cambodia aiming to showcase the achievements, and success stories of innovation in Information and Communication Technology (ICT) in the Kingdom of Cambodia. Companies/entities that can apply for competitions consist of local private companies, startups, social enterprises, NGOs, and government institutions at http://cambodiaictawards.com/ until February 22, 2019. Innovative Tech products can register to compete! In addition to the above five categories, the committee also evaluates and selects a number of other potential sectors such as AgriTech, Digital Banking, EduTech, FinTech, HealthTech, etc. The companies/entities contesting will be carefully selected by judging panel those who are appointed from private companies, state institutions, civil society and industry representatives in ICT. The selection qualifications based on 1/ Tech innovation, 2/ Problem solving, 3/ Efficiency of operation, and 4 /Marketing strategy. 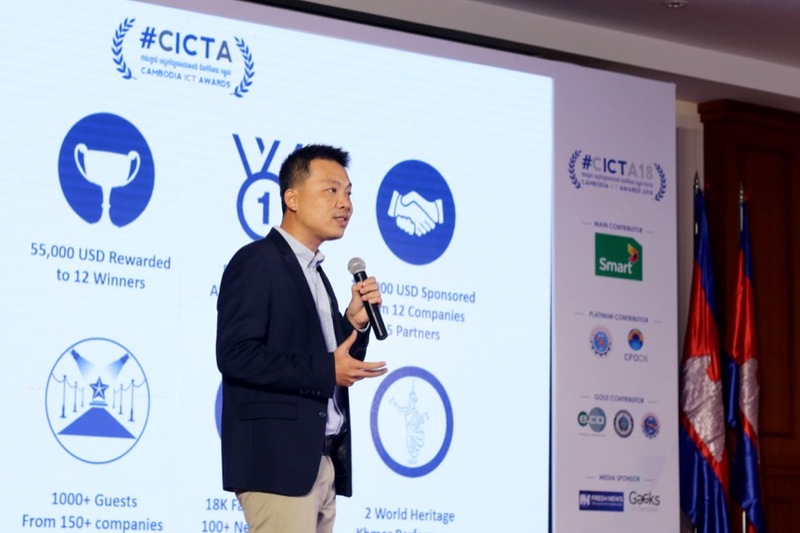 NIPTICT has organized the Cambodia ICT Awards since 2015 in the purpose of encouraging and promoting Cambodia’s outstanding products or projects. The Cambodia ICT Awards 2019 will be awarded to the winners The Best Award of Excellence, a national honors award that will elevate their business to the next level. In 2018, the three winning companies are: 1/ Morakot VB (Core Banking System) developed by Morakot Technology, a program for financial and banking management, 2 / Soyo (Cambodia) developed by Soyo Entertainment Co., Ltd., the first online movie streaming platform in Cambodia, 3/ Banhji developed by PCG & Partners Co., Ltd., an accounting program for small and medium enterprises in ASEAN. The award is organized with the collaboration of many partners in ICT. Smart Axiata, a major partner and sponsor, sees this as an opportunity to demonstrate innovation in Cambodia. 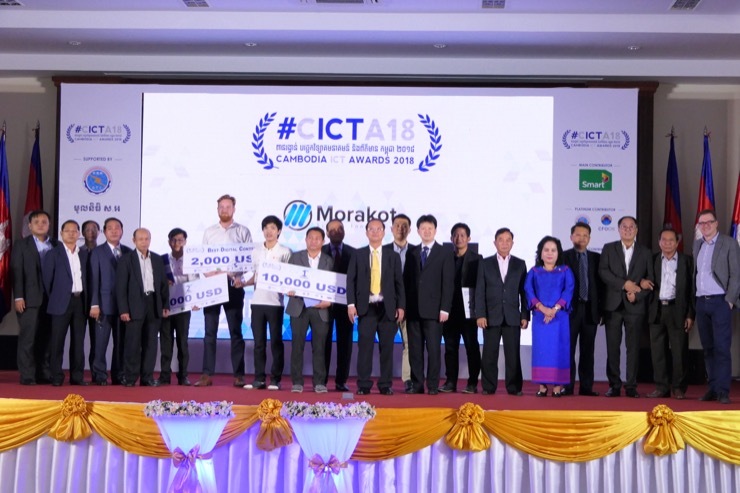 Smart Axiata believes that the Cambodia ICT Awards give a unique opportunity for companies / entities and individuals to introduce products, innovations, skills, and digital leadership through new business models which will benefit the society. As a major development partner of the Ministry of Posts and Telecommunications, Smart Axiata is optimistic that the outcome of this competition that will encourage, inspire and build Cambodia’s technological era to the digital era and ICT in line with the regional countries. Participating companies / entities in 2019 also have opportunities to participate in the regional round. For the process of applying, please visit http://www.cambodiaictawards.com/.